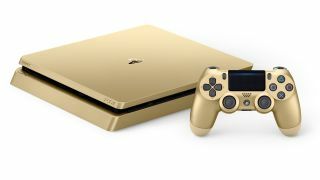 The PS4 update 5.0 beta is rolling out today and thus we finally know what's arriving in the system's next major update. First, the bad news: you still can't change your PSN account name, even if it seemed really cool back in middle school. But there's some good stuff too. If you aren't in the beta and can't try them yourself, here are some tweaks to look forward to when the final version arrives in the weeks ahead. Nothing drains the tension out of a great TV moment like your PS4 suddenly chirping up and filling the corner of your screen with inessential tidbits like 'your friend logged on'. In PS4 update 5.0, you'll finally be able to silence those annoying pop-ups while you're watching TV or movies. Note that you could already turn notifications off entirely, but this way you can still get them while you're playing games (i.e. when information about your friends coming online might actually be useful). Have a few different groups of friends you play games with? The new 'Custom Lists' tab in the Friends menu will let you create and edit, what else, custom friend lists. Then you can use that list to easily message and invite your Helldivers squad (hey, Helldivers is still really good) without disturbing your Destiny raid buddies. Custom Lists will take the place of 'Favorite Groups'. PS4 family controls are finally getting a modern kick in the pants in update 5.0. Multiple parent/guardians can be part of the same family, all with parental controls over child accounts. You can also set different controls for individual child accounts, if little X is growing up fast and ready to play Helldivers (no, seriously, it's good) but little Y should stick to games that don't let you drop orbital pods on strangers. The Quick Menu fights ever harder to justify that long press of the PlayStation Button. This update gives it three handy new features: Notifications (so you can check your downloads and invites), Leave Party (so you can get the hell out of a party with a quickness), and the System Clock (so you can see how long it's been since you last said "just one more round"). You can read through the rest of the changes coming in PS4 update 5.0 on the PlayStation Blog. And check out our list of the best PS4 games if you need something new to play.